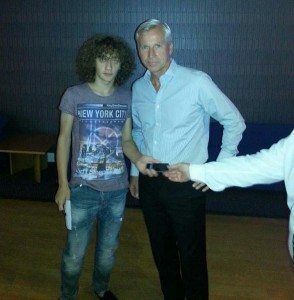 Alan Pardew took valuable time out from his pre-season planning to help raise cash for Newcastle United’s charitable arm, the Foundation. As well as being a class act on stage answering all the questions thrown at him, he also posed for countless photos with his appreciative public. Thanks to Mag reader Sam Cottrell who has sent us his photo with our leader.